It was a balmy 14 degrees for my run this morning. That’s up from 0 Sunday and then 2. Now, don’t get me wrong, 0 in Colorado is not like 0 in say…. Detroit or Chicago. I’ll take 0 here over 20 in the Great Lakes. Still a hair chilly – at the least it’s tights weather. In general, this running thing has been light, at best. 30-35 miles a week is the norm and that is with good knee days and bad knee days. What I have enjoyed the most has been the earlier sunrise. I like being able to see at 6 or 6:30. I like that little kids don’t have to wait for the school bus in the dark, and I like not having to wear my headlamp for my early jaunts. Of course, all of that is going away. 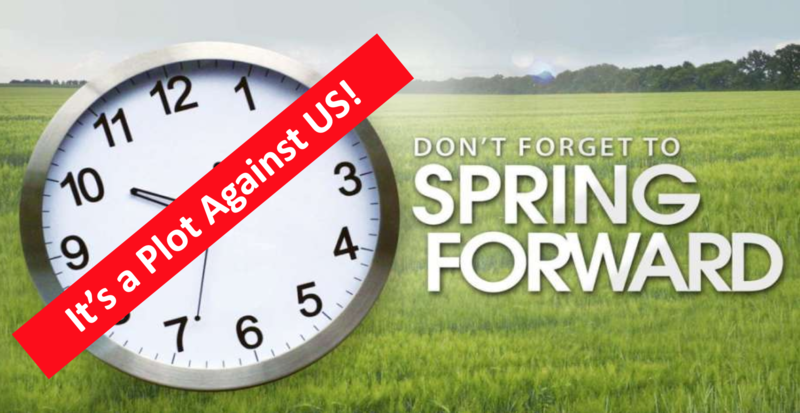 Soon…..
On Saturday night we will be taking that annual journey into daylight savings time. And let me say right up front, I still don’t get it. Why do we humans believe we can’t live without manipulating things, especially time? I suppose it’s because we invented it. George Hudson, a New Zealand entomologist, was the first to suggest this in 1895, mostly so that he could have longer light in the evening to, I guess, chase bugs. Port Arthur, Ontario, Canada was the first city to actually implement it back in 1908. Port Arthur, for those of you non-Great Lakers, is on the North side of Lake Superior, which is on the North side of civilization. I’ve been there and don’t understand what there is to see in the evening anyway. Then came the German Empire. Don’t even get me started on this one as my wife and I both have German cars, and given the mediocre GPS functionality, I know why they lost two world wars. In the 70s, the U.S. of A. came onboard. Proponents cite reduced energy use (been proven to be minimal 0.34%), economic effects (People are more likely to stop at a convenience store on the way home from work if it’s still light……… or maybe if they need something. Golf courses see a higher revenue. Oh boy! On the other hand, farmers dislike it), crime rates (some thought they would go down – no significant change), health gains (it’s been discovered that some people are more apt to exercise with the extended daylight, BUT heart attacks are up 10%). The jury is OUT. Not to seem paranoid, but, I believe that Daylight Savings Time is a clear attack on morning people. We morning folk love the sunrise, love the early daylight and are generally the chirpiest of people in the A.M. Depressed, cynical, grumps can’t stand it. And since the world is run, for the most part, but depressed, cynical, grumps….. we’re stuck. Just know this, grumps: until the light comes back (May-ish), there’ll be fewer people whistling, humming, and being chirpy. In your world that means fewer annoyances. It’s okay, we’ll get even in November.